The inability to get a good night’s sleep is a problem that’s faced by people all across the United States and the world. According to the American Sleep Association, as many as 70 million people in America suffer from some form of chronic sleep disorder. While it may be an intermittent problem for some, for others, regular bouts of sleeplessness are a serious concern. People who have trouble falling and staying asleep suffer from a condition called insomnia. Insomnia may last for only a few days or for several months or longer. Regardless of whether a person suffers from acute or chronic insomnia, it can have an impact on their daily life and their health. A variety of issues can lead to a person suffering from insomnia. Stress, worry, and excessive hours spent at work are some causes. Certain health issues and changes, such as cardiovascular problems, restless leg syndrome, acid reflux disease, and menopause are other examples. Drinking fluids 90 minutes before sleeping may result in interrupted sleep caused by the need to urinate. Post-traumatic stress disorder (PTSD) can also keep a person up at night, as they may experience nightmares or be unable to sleep for fear of experiencing them. This problem is sometimes found in survivors of disasters and wars. People who suffer from insomnia can have one or a number of symptoms associated with this sleep disorder. These include erratic sleep patterns such as waking up at night or too early in the morning, waking up tired, or becoming sleepy during the day. 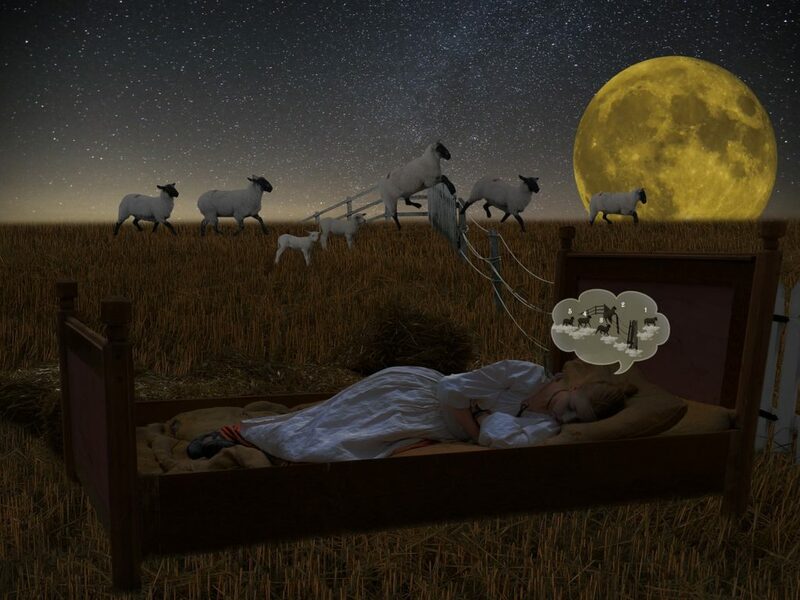 An insomniac may experience trouble with their memories or have difficulties staying focused on something. It may also lead to anxiety, irritability, and potentially dangerous problems such as auto accidents caused by falling asleep at the wheel. Studies have shown that genetic factors also influence whether a person may suffer from insomnia. Parts of a human chromosome (chromosome 7) were linked to insomnia in a study involving 30,000 American soldiers. Another study involving more than 100,000 people showed that seven genes affecting various functions of the body may have an effect on whether a person develops this sleeping disorder. A Virginia Commonwealth University study suggested that women are more at risk than men due to genetics. Consumption of certain chemicals can also result in substance-induced insomnia. Some types of medicines, illicit drugs, or beverages may contain stimulants such as caffeine, which hinders sleep. Medications such as beta-blockers and alpha-blockers that fight hypertension can result in insomnia, as can corticosteroids, some antidepressants, and statins, which fight high cholesterol. Consuming tobacco and alcohol can cause or contribute to insomnia, as can eating foods that are spicy. People also may become addicted to sleeping pills, which makes it harder to sleep without using more of them. Detoxing from opioid drugs can result in sleep problems that take weeks to subside. While insomnia can happen to anyone, certain risk factors raise the odds of its onset. Age and gender are two important factors; people over 60 years old and women have higher rates of insomnia than others. Stress and frequent changes in work shifts are also common causes. Being overweight can lead to a higher risk of sleep apnea and insomnia, as can excessive long-distance travel. Children who have attention deficit hyperactivity disorder (ADHD) have a higher risk of developing sleep disorders such as insomnia. This is because they experience restlessness and anxiety even while trying to sleep. It is suspected that children with ADHD are unable to wind down at night, so their minds are still hyperactive well into their intended sleeping hours. This disruption of a good night’s sleep may contribute to the irritability and lack of focus that comes with ADHD, according to researchers. Though insomnia isn’t always preventable, there are some ways to reduce the risk of developing this sleep disorder. One strategy involves getting routine exercise (such as 30 minutes of walking outside) at least three hours before going to bed. Long daytime naps can make sleeping at night more difficult and should be avoided. Abstaining from substances such as tobacco, caffeine, alcohol, and illicit drugs will also reduce the risk of insomnia. People who suffer from insomnia may find that a number of treatment options can alleviate the problem. Cognitive behavioral therapy (CBT) may be used to help patients manage or free themselves from negative behaviors or thoughts that reduce their ability to sleep at night and can be an effective treatment for insomnia. Some medications can be prescribed by a doctor to fight insomnia, but these are generally recommended for use only for a few weeks. According to an experiment at the Columbia University Medical Center, amber-tinted lenses in glasses may help reduce insomnia by blocking blue light, which keeps the brain more alert and less predisposed to sleep at night. Developing consistent sleep habits is another way to treat insomnia or even eliminate it. In addition to traditional treatments for insomnia, there are alternative ways to alleviate this sleep disorder. Herbs such as valerian root are thought to have some positive effect in helping people rest better, as do chamomile, lavender, and ginseng. The hormone melatonin is also considered a potential solution, although it is not well understood. Traditional Chinese Medicine routinely uses acupuncture to fight sleep disorders like insomnia. Meditation is another popular technique for alleviating this problem. When a child has frequent bouts of insomnia, consultation with a pediatrician is one of the first steps that a parent should consider. In some cases, they may prescribe medications or therapy to help fight childhood insomnia. Children should be kept to a consistent sleep schedule, including on weekends, and daytime napping should be restricted. Parents should keep the child’s room’s temperature cool and reduce or eliminate noises at night, and if the child needs a nightlight, only use a small one.